This lively and interactive course helps you to develop your French speaking, listening and writing skills quickly and painlessly. We’ve included a CD as part of the course to give you lots of listening and speaking practice. So whether you want to gain a language qualification or just be able to communicate better on your next French holiday, this is the ideal place to start. There is an accompanying CD which provides various exercises to support Module Five and the oral/aural requirements of the examination. Oxford Open Learning’s International GCSE French course is designed to prepare students for the Edexcel international GCSE in French (4FR0) for examination in June 2017 or later years. Assessment is by two written examinations and a speaking test. Paper 2 (Reading and Writing) lasts 1 hour 30 minutes. The speaking examination, Paper 3, lasts a maximum of 10 minutes, more details can be found in the introduction to the course. It’s necessary for you to have some prior knowledge of French before starting this course. It’s also recommended that you have access to a French speaker for additional practice with the spoken aspect of the course. 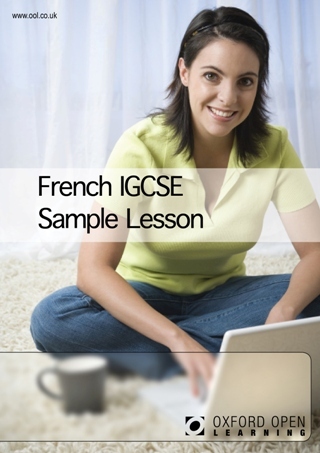 What's the difference between GCSE and IGCSE French? The international GCSE French is of the same level as a GCSE and is examined by Edexcel, one of the UKs most trusted examination boards. A key difference is that IGCSE French does not include classroom controlled assessment or coursework, making it convenient for distance learners. The French International GCSE qualification is accepted as at least the equivalent of GCSE in UK sixth form colleges, FE colleges, universities and other HE institutions. 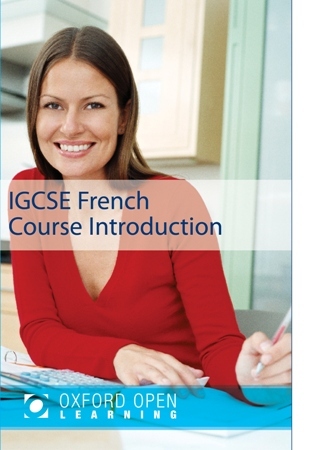 How much does the French IGCSE course cost?